"Easy to follow instructions and complete kit to make your axles shine. This is a must have kit to be competitive and win." 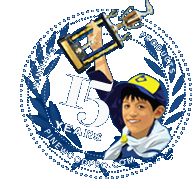 Pinewood Derby Axle polishing kit contains five BSA axles, black wet-or-dry sandpaper, pumice and full instructions for polishing your axles. To increase speed, you need to sand the crimp marks using the 600 grit sandpaper, then polish your axles to a mirror shine using the pumice. This kit has everything you need, including step-by-step pictorial instructions plus 5 spare axles! Does not include the file or other items you need per the directions included. We were pleased with this kit. I saw many others using after-market wheel and axel kits to increase their speed. We used this kit and the regularly provided BSA axels and wheels and took 3rd overall in our derby. Great teaching tool! Easy to follow instructions and complete kit to make your axles shine. This is a must have kit to be competitive and win.